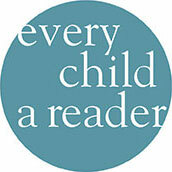 Every Child a Reader is a 501(c)(3) nonprofit dedicated to inspiring a love of reading in children and teens across America, and is supported by individual donations, grants, and foundations, and run by Children’s Book Council staff. Every Child a Reader supports the work of thousands of parents, educators, librarians and booksellers year-round. our popular national programs include Children’s Book Week (May 1-7, 2017), the longest-running literacy initiative in the country; the Children’s Choice Book Awards, the only book awards chosen by children and teens; and the National Ambassador for Young People’s Literature program, in partnership with the Library of Congress. The Children’s Book Council is the nonprofit trade association of children’s book publishers in North America, dedicated to supporting the industry and promoting children’s books and reading. Our work includes educational programming for employees of our member publishers, collaborative projects with other national organizations, and literacy initiatives that highlight the quality and variety of children’s literature available today. Established in 1945 to oversee the celebration of Children’s Book Week, the Children’s Book Council has since evolved into an active and vibrant advocate for the children’s publishing industry.